Education is one of the most fundamental building blocks to human development–something every child needs to be on the way to a promising future, one filled with abundant opportunities and limitless possibilities. Yet despite the fact that education is a basic human need, there are many in our country riddled with poverty, sickness, and disease and have little to get by, let alone pay for schooling. 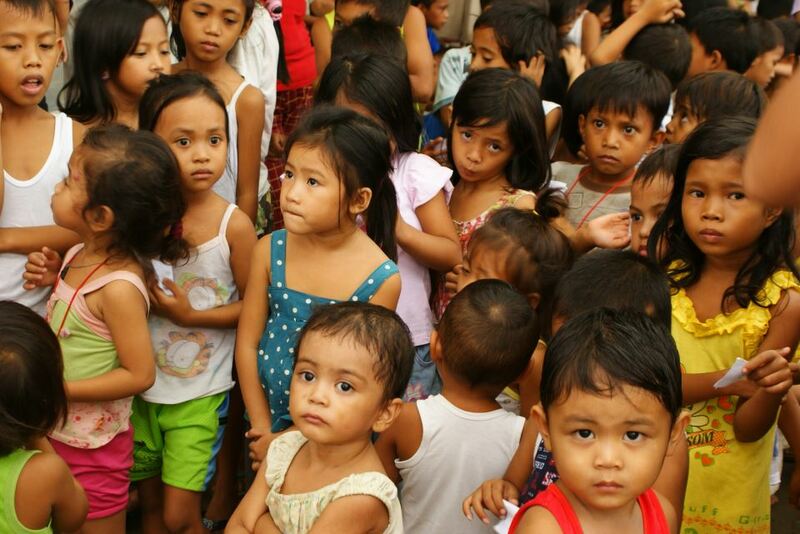 Angono, Rizal, is one such community that is home to many who are in need of help the most. Angono has been determined as a place which houses some of our country’s poorest, and not only are its children deprived of access to proper health and education, but moreover in dire need of love, care, and attention. That is where The Orange Project steps in: TOP is a non-profit educational foundation and anti-poverty organization that aims to provide relief and support to the poorest of the poor, and have so far been touching hundreds of children’s lives in Angono, as well as their families. Two Saturdays ago, I was blessed enough to join one of TOP’s exposure trips, and bear witness to the amazing work the group is doing. 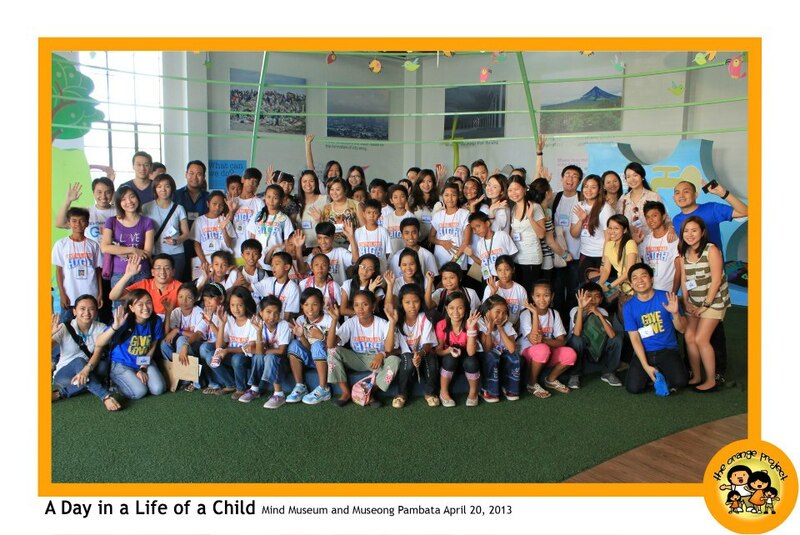 Entitled “A Day in the Life of a Child”, 73 incoming high school students under the care of The Orange Project toured The Mind Museum and Museo Pambata, with 73 ates/kuyas to watch over them and accompany them throughout the day. 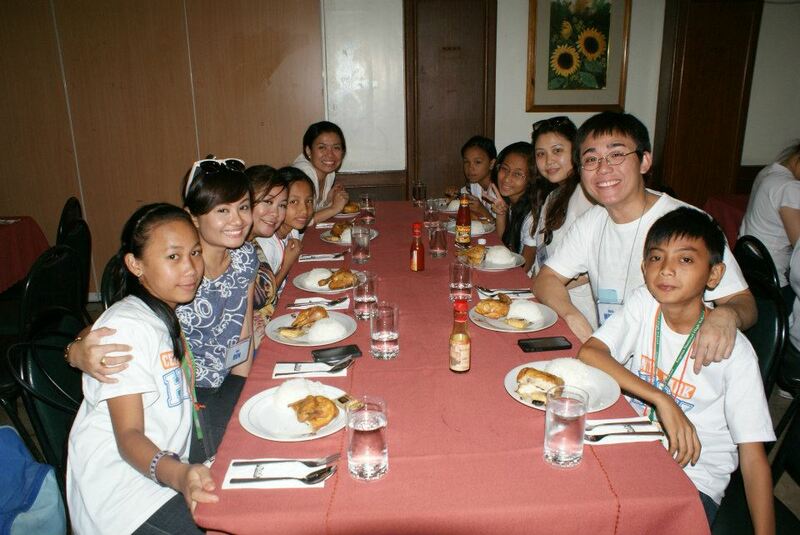 These children are the first batch of TOP’s high schoolers, from the 800 children under their care. 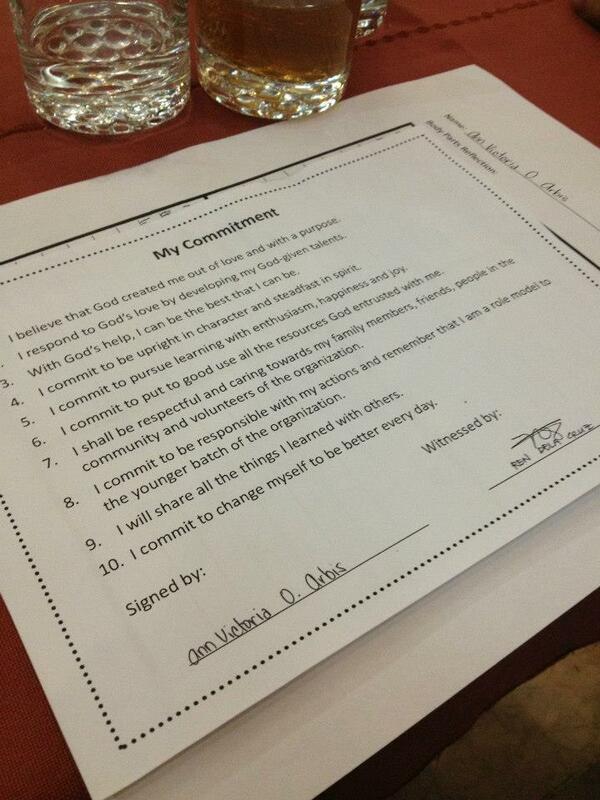 Other than the education they provide, The Orange Project offers their students something more: character formation. Children under TOP are taught to love our God, and to care for others. One of the most notable moments of the trip was lunchtime at Max’s Restaurant,where the children pledged their commitments–to believe that God created them out of love and with a purpose, to be the best that they could be, and to be respectful, among many others. There was such an outpour of hope and love that day that I am sure not only the children, but everyone else present, felt it and will cherish the experience even long after that day has passed. P 6000 to ensure that one needy Filipino child will continuously be provided holistic growth and support under The Orange Project for an entire year. Aside from the year-round program to give aid through sponsoring a child, The Orange Project has various other programs in place that is open for anyone with the passion and willingness to help. They hold medical missions, exposure trips, and outreach activities, and currently have an ongoing school supplies fund drive: a one-time donation of P 300 will provide a set of school supplies for a needy child as he/she prepares for the incoming school year. May it be through sponsoring, praying, and/or volunteering for TOP’s very worthy causes, every ounce of support will be a blessing to the team and the children of The Orange Project. Feeling blessed? There’s nothing better than paying those blessings forward to a cause such as this. It takes only one person to help the life of another. To know more about The Orange Project and help in the mission to save our Filipino children and give them a bright and promising future, please contact Glori at 0917 817 0486.